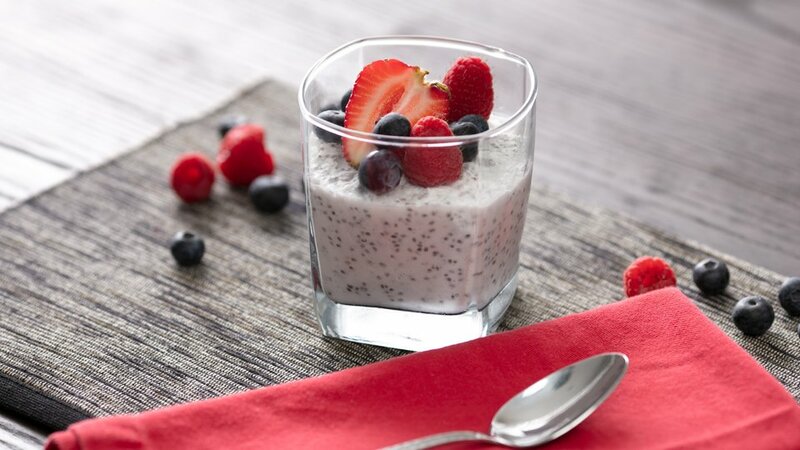 Chia seeds are rich in fiber, protein, vitamins, and minerals and are a vegetarian source of omega-3 fats. Since chia seeds absorb liquid, letting them sit in coconut milk for a couple of hours gives this coconut chia treat a thick, pudding-like texture. Top with fresh berries for antioxidants, and you have a high-fiber, nutrient-dense breakfast that is low-carb, gluten free, and completely vegan. Combine coconut milk, water, chia seeds, coconut, and salt in a small serving vessel and let sit 2-3 hours.